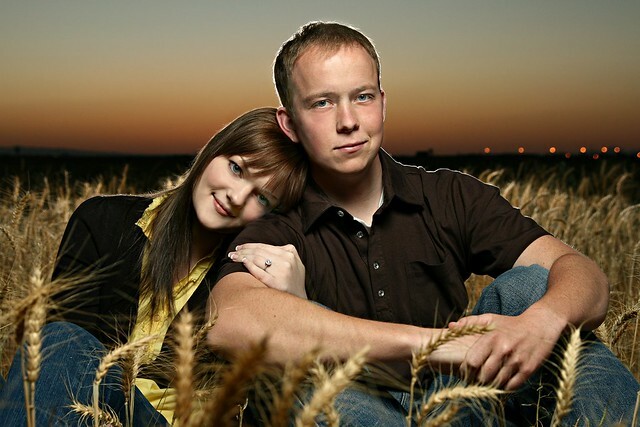 Jerry Ferguson Photography specializes in engagement photography in Arizona. As one of the premiere providers of quality engagement photography in the valley, we have a number of locations in Phoenix, Mesa, Scottsdale, Tempe and other areas of the valley where you can take your engagement portraits or 'save the date' photos. When Should We Get Engagement Photos Taken? Most couples usually take engagement photos around three months before the wedding if they plan to send out the photos with the wedding announcements or 'save the date' mailers. If you expect a lot of folks from out-of-town, you may want to do it even earlier. If you don't plan to include the photos with their announcements, we can often wait until even closer to the wedding to get some nice photos that will be matted and framed in a 'sign-the-mat' frame, or displayed on each table at the wedding. So How Does This Engagement Photo Process Work, Anyway?